Right on the beach! 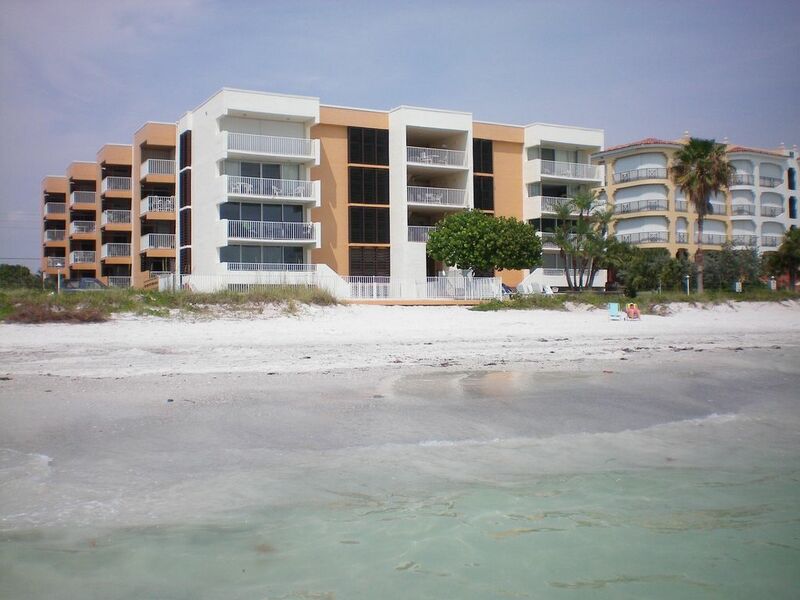 Great 2 BR, 2 BA condo with Gulf of Mexico view. Watch the sunset over the Gulf from the master bedroom. Walk the beach where Green and Loggerhead turtles nest. Watch and listen to the waves wash over the white sand from the outdoor, heated swimming pool, where you can also view a variety of seabirds basking in the Florida sunshine. And if that's not enough, this immaculate, fully furnished condo offers in-suite washer/dryer, walk-in closet in master bedroom, microwave, cable TV and much, much more. Close to wildlife areas, bike paths, cultural events, shopping, churches, and great seafood restaurants. Who could ask for more? Fishing? The best! Only a 10-minute walk to the famous Redington Fishing Pier, and a short drive to Disney World, Sea World, and Busch Gardens. Hurry, this is a great value!!! Close to Tampa International and St. Petersburg airports. Our unit has a covered parking spot to keep your car out of the hot Florida sun.